It's an addictive; a stimulant, the taste of goodness to some and it alters our mood. Yes, its coffee! Coffee being the most famous drink of all times has been a routine drink for most of us. While it is popular for its natural flavor, this age old typical coffee drink is now made with different combinations to give interesting products like mocha, cappuccino, café latte etc. Coffee benefits are many; to name a few, they reduce the risk of Alzheimer's and Parkinson's. Coffee contains the anticancer compound methylpyridinium. It is not present in raw coffee beans but is formed during the roasting process. It is present in both caffeinated and decaffeinated coffee, and even in instant coffee. This component in it has given some a better reason to drink coffee regularly! However, drinking coffee has proven to be an addiction in many and this has carried a lot of health issues with it. Coffee stimulates the adrenal glands which are responsible for the production of stress hormones. If we go back to our ancestral days, they would want to drink coffee very often and would have a heavy activity throughout the day. In the generation that we live in, physical activity is less and intake of coffee has continued to the same effect as our ancestors. This combination has resulted in certain changes in the release of insulin affecting the sugar level. Another concern that surrounds coffee is that coffee fits into the receptors for a brain chemical known as adenosine, which is partly responsible for calming down. With excess intake of coffee, it makes you feel awake and hyperactive... 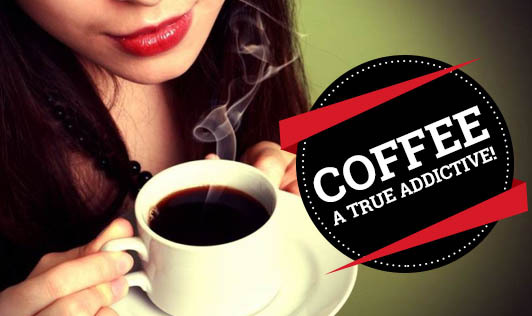 Though coffee is connected to our daily life, studies do not allow you to consume more than two cups per day. For those weight watchers and diabetics, black coffee is the best option. Coffee without milk and sugar can be a very good option to avoid extra calories for the day. Coffee with skimmed milk and sugar substitutes will also be a good option. Someone who is ready to give up coffee can switch to green tea, herb tea or lemon tea without sugar. After all, everything in moderation is the best way to go!